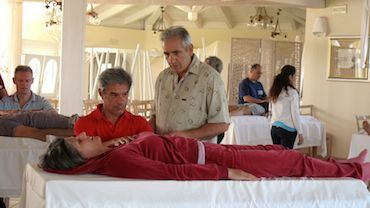 Body Harmony is a wild verb of action bridging the gap from concept to function. Tracking down and Achieving Philosophical Possibilities rather than just debating existential considerations. Which consults directly with the source, the body itself with all it’s protocols millions of years in the development. While it may seem a bit mysterious at times, it's not supernatural...It's Body Harmony. On the trail of the pristine version unsullied by the limitations and expectations of any subgroup. 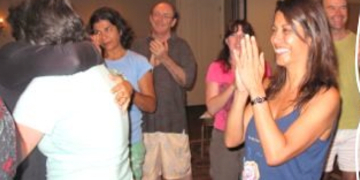 Rosemary is an International Body Harmony® Practitioner -Teacher based in Ireland. Her father in the transition period. Let us all send light and peace and prayers for an easy passing for everyone involved. Do Miracles Happen in this day and age? Body Harmony focuses on those circumstances, and skills that encourage such 'chance' deviations from the norm. The Secret is not to allow any individual population (for instance, you) to be imprisoned by generic norms.